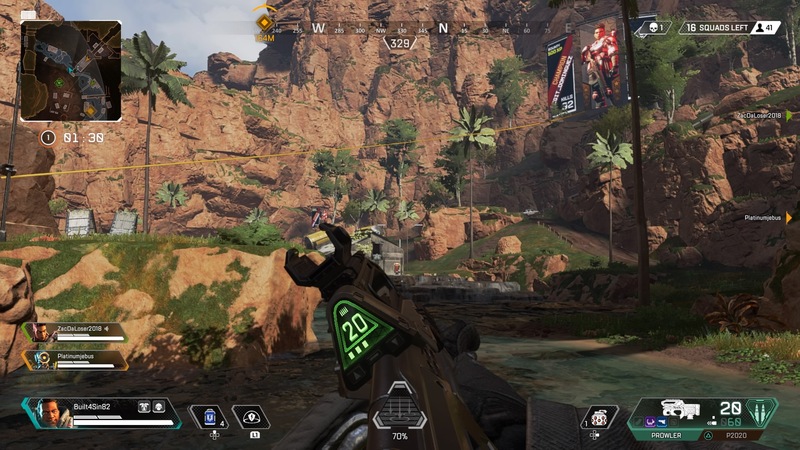 Respawn Entertainment, creators of the awesome Titanfall series, has now thrown their hat into the Battle Royale ring, like many other studios before it. 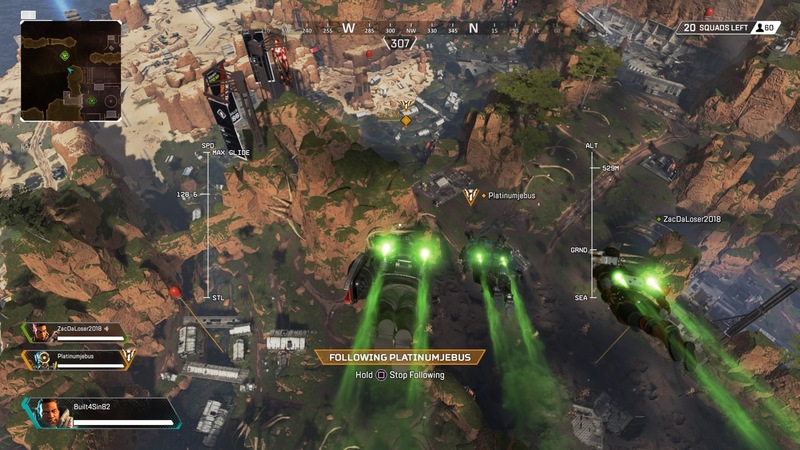 The budding genre is already becoming over saturated, but some gems peek out from the chaff from time to time, and I believe Apex Legends is set to do just that. I’ve played a handful of Battle Royale games and have found only a couple of them to be to my liking. 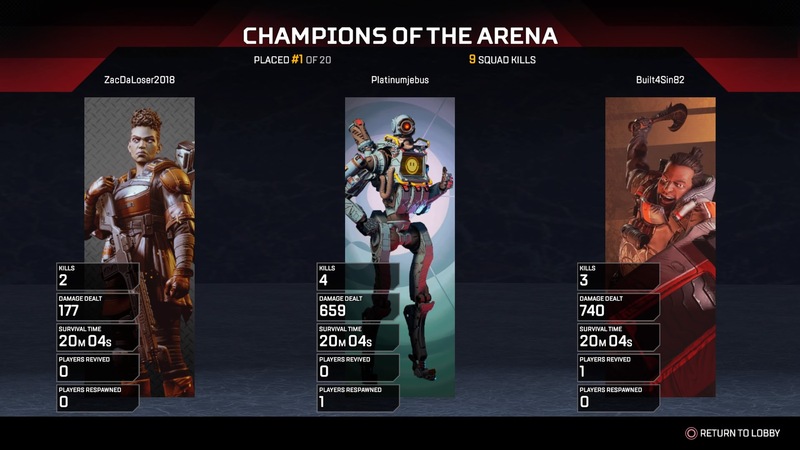 Apex Legends ticks a few boxes for me that others have not. I prefer the forced first person perspective (which was also a plus in Black Ops IIII) because in any third person shooter, you can utilize the camera angle in relationship to your avatar to see around corners in a way that wouldn’t be physically possible in real life. 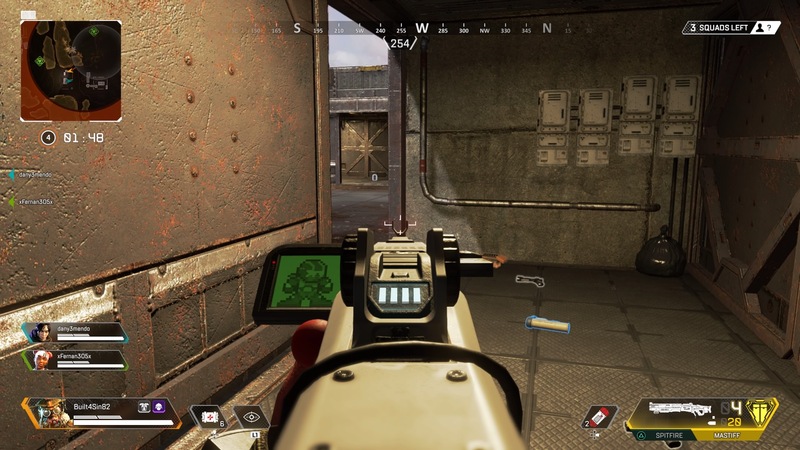 Being a sort of spin off of the survival genre, Battle Royale succeeds when you are forced into this camera position and need to utilize your senses to outlast the other players in the round. I also enjoy the team-play aspect of groups of three. There are only three classes of legends in the game, so you can make a balanced team with only three players. The voice chat works, but it also is entirely unnecessary. The “jumpmaster” feature is also great for keeping your team heading to the same place on the map and not being picked off elsewhere. The map feels large, but you can still traverse much of it fairly quickly. There are no vehicles, so everything is done on foot — thankfully there isn’t stamina to worry about. The weapon and gear selection feels adequate and the gunplay is excellent. I do miss the double-jumping and wallrunning of Titanfall along with the ability to call down and pilot mechs, but I understand why they didn’t go that route. I’m hopeful for an additional game-mode that will allow the use of mechs sometime in the future but it doesn’t seem likely. Still, there are a variety of skills to use via the different legends, so it still feels varied enough. Typical of most Battle Royale games, you’ll have rounds where you are one of the first teams eliminated, and other games you’ll be the last ones standing. My second match ever when this good, as I was playing Gibraltar and our team was the first to the circle of safety so we set an ambush. Gibraltar’s ultimate ability calls down an air strike, so when I saw the enemy team coming I dropped it on them and managed to take they whole team out in one go. Since then I’ve managed to be in the top ten several times but haven’t won another round. Rumor has it that there are plans for solo/duo queues coming soon, but actually think the team co-op is a better approach. Even playing with randoms it has been a good time. The game looks great and runs smooth. I think it’s a blast. At least Respawn seems to have done their homework, as they’ve taken some of the better ideas from the competition and included their top-notch FPS gameplay to the mix while avoiding some of the over-the-top design choices. When loading up for the first time you’ll have access to six legends, with two being unlockables. There is a micro transaction storefront, but no power is being sold — just fluff skins for Legends and weapons. You can buy in-game currency to speed up your unlocks or to outright buy skins, or you can just unlock them with scrap parts eventually. I still don’t have enough in-game currency to unlock a new legend, but it doesn’t seem like it will take that long to get there. 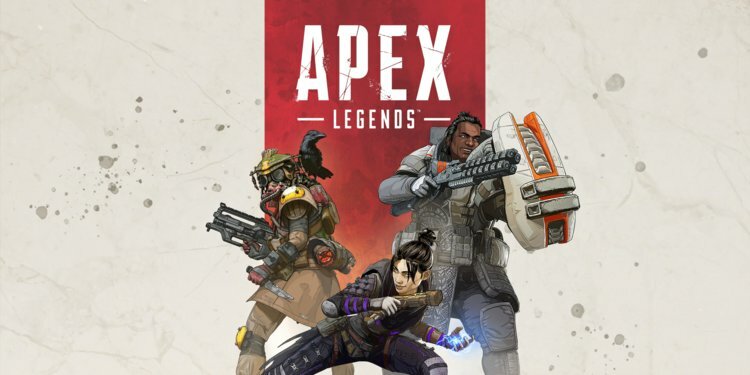 Honestly it’s probably worth throwing a few bucks at the company just to make sure the game doesn’t disappear, but I’d rather buy a “unlock all legends now and in the future” package than skins ala Quake Champions or SMITE. No matter the case, the game is out now, and is Free to Play. I personally don’t have Origin installed so I downloaded Apex Legends on my Playstation 4. If you’re a PC player you’ll have to get this via Origin. It probably looks even nicer there. I’d give it a whirl if you enjoy the Battle Royale genre or need a new FPS in your life. I’m pretty curious to see how long the playerbase of this one sticks around for. The marketing play they made in the surprise release garnered a lot of interest, and certainly the positive buzz around it since then has carried it on. Personally I’m not a big Battle-Royale player, but when I do, I prefer the style and pacing of PUBG or Elysium over Fortnite. APEX perked my interest enough for a download and a muddle around, but I’d say I’m already essentially ‘done’ with it. So I wonder how many will be in a similar position when all is said and done? A friend wanted us to check it out with him, but it seems that you can’t start multiple clients from the same IP. We haven’t actually tried yet, but If that’s still true we’re out, unfortunately.